When it comes to noodles, Japan may be more famous for ramen. Yet Kagawa Prefecture prides itself on serving the best udon, and now has a hotel that doubles as a cookery school dedicated to the local delicacy. The Udon House opened last October in Mitoyo city, on the western Japan island of Shikoku, in a refurbished 80-year-old home built in a traditional style. 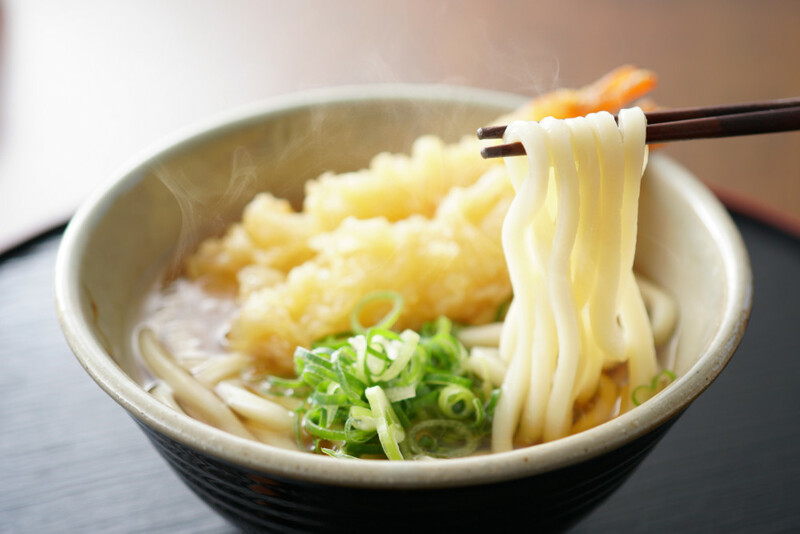 "We hope to promote the local region through the culture of sanuki udon," said hotel manager Kanako Harada, referring to Kagawa's famous thick, chewy noodles. Guests take half-day classes from udon masters, learning the tricks of the trade necessary to turn wheat flour into the local soul food. To cater to the rising number of foreign visitors, the hotel has staff who can speak English, Chinese and Korean. Still, the bulk of guests are Japanese. Kaori Yamada, a 44-year-old university lecturer visiting from Kyoto in late December, said the udon-making lesson was very detailed and she was glad that teachers took account of participants' individual needs. Harada, the manager, hails from Tokyo and had worked in Rakuten Inc.'s travel department until spring 2017. But last June, she moved to Mitoyo after being involved in the launch of Setouchi Udon Co., a local trading company fully funded by the city. Drawing on her global travel experiences as a student and later work in the tourism industry, Harada said, "I came to realize that travelers desire to learn about the local culture of where they are visiting." So far, foreign visitors account for some 20 percent of guests, but Harada said overseas' interest had picked up since the hotel was featured on CNN's travel website in January. "I want to show that a local community in Shikoku is capable of being directly connected to the world," Harada said. The hotel offers two dormitory-type rooms and one Japanese-style room. The standard plan, which includes the udon class and a local farm visit, in addition to dinner and breakfast, is priced at 29,800 yen ($270) per person, excluding tax. Kagawa, which promotes itself as Japan's "Udon Prefecture," is situated in the Seto Inland Sea and is a famed pilgrimage spot on the 88-temple "Shikoku Henro" route. The nearby island of Naoshima is famous as a contemporary art hub, while the olive-producing island of Shodoshima boasts of its picturesque "Angel Road" sand bar that only appears during low tide.